Cathy Boyle completed her General Nurse training in 1984. She is a Credentialed Mental Health Nurse and holds a Masters of Mental Health Nursing. Her clinical background includes both acute mental health and drug and alcohol experience. For the last 10 years she has worked as a Mental Health Nurse Educator in a large public health system in Queensland, Australia, educating staff in a variety of health disciplines and non-government providers. 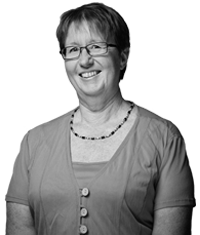 Cathy has a special interest in clinical supervision and supported the implementation of a nursing clinical supervision program in a large public mental health service. She has been integrally involved in the training, support and up skilling of clinical supervisors and conducts both one on one and group clinical supervision. Cathy also has experience consulting with generalist nurses to develop an acute model for nursing clinical supervision. 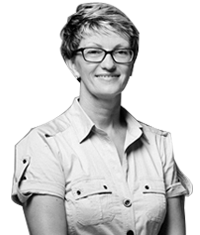 Cathy is a Clinical Fellow of the Australian Catholic University. Barb Bowler completed her General Nurse training in 1974. She is a Credentialed Mental Health Nurse and holds a Masters of Counselling and a Masters of Nursing. Her clinical background includes acute mental health and rehabilitation, and drug and alcohol experience in both public and private services, as well as a private counselling practice. For the last 10 years she has worked as a Mental Health Nurse Educator in a large public health system in Queensland, Australia, educating staff in a variety of health disciplines and non-government providers. Barb also has experience in disaster response, and in co-ordinating a Peer Support Program in a public mental health service. She is experienced in developing clinical supervision programs, training supervisors and delivering clinical supervision to individuals and groups.